Several bold incentives are taken by manufacturers this year for the travelers due to which 2016 can be called as a big year for baggage. This year, airports around the year were seen with various suitcases. 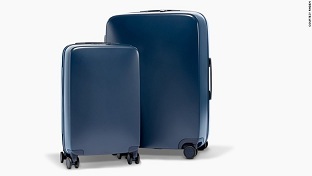 Among these suitcases, one special one is with name of ‘Boxer’ by Bugaboo which is different from its counterparts as it doesn’t require batteries and it is available since September. Bugaboo is a Dutch manufacturer which is in the market since 1999 when it gained fame around the world with its stylish creation of baby strollers that changed the concept of baby caring forever. After 17 years of these baby prams, now Bugaboo wants to create the same impact with this new luggage which is wheeled but even then a revolutionary bag. Pushing instead of pulling is the biggest difference than normal. 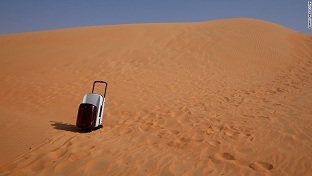 You can easily handle the weight of the luggage by its four-wheeled trolley by using just one hand. A foot lever gets away from main wheels when you take it away and bending the handle will fold the back wheels. The complete project includes a laptop protecting organizer, a check in and a carry on which is available for $1500. 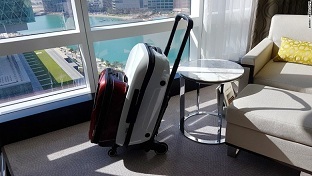 Despite few problems, the Boxer proved a helpful luggage during a business trip from Abu Dhabi to London. It’s really comfortable to use this luggage by Bugaboo in hotels and airports as you only have to use one hand to control it. But a problem arrives when stairs are in front of you. It is not a perfect one for those using metro systems or having a baby with them. The modular system of Boxer will become easy to use after initial few attempts. You will get lot of practice after some use. 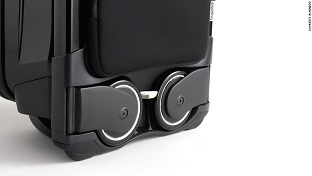 People working in hotels and airports will admire this luggage after viewing its various functions. The Boxer was perfected by Bugaboo’s designer and co-founder Max Barenburg who is hopeful that people will accept it happily after understanding the power of push. You will get a new feeling on airports by using this bag and you will not be ready to use any other luggage after using Bugaboo’s Boxer. But Boxer has to face tough competition from other bags also. 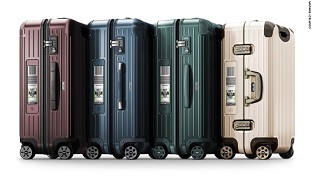 High class polycarbonate and aluminum cases are released a longtime established German manufacturer ‘Rimowa’. It looks a normal case with design that glides on 360 degrees corner wheels but it is quite unique also. Now the company is advertising its electronic luggage that uses Bluetooth connection and a built-in E-Ink display to provide convenience to travelers for checking purposes. This feature has increased its price by $50 as compared to normal cases but several airlines are having partnership with it. Apart from these two bags, you can get other bags also this including few from American company Raden such smart suitcases that can charge your smartphone, weigh themselves and also text you after getting lost. 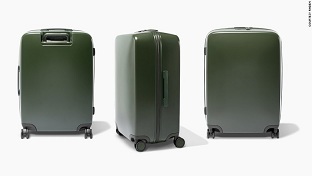 It is a relatively cheap suitcase that you can get in $595. Another company is “Away” that has launched its suitcases claimed to be ‘unbreakable’ and having USB charging ports and wheeled cases. But despite these characteristics, it is available in lower price of $95. Design is the main aspect with which Bugaboo is trying to attract its customers. Barenberg thinks that their concept will soon be copied by other companies as they copied their concept of strollers. But even then, no one will be able to make the same thing that they designed. You will really enjoy handling Boxer once you get experience with it as you can have this even in difficult conditions like deserts. But the luggage has its own shortcomings. It is difficult to put in and take out a 15” laptop in the luggage while the carry-on with trolley is quite heavy and its capacity is also not up to mark with 26 liters. There is some problem with one of its rear wheels also. But despite these small problems, the Boxer is really the best choice due to its unique shape and performance on every surface. Due to these specialties, it can be called the R2-D2 of luggage as its performance is similar to this robot of ‘Star Wars’.